Feast your eyes on our collections of glue-on, pre-glued and pro-inspired lashes! For show-stopping brows that wow, look no further than Eylure to shape, sculpt and colour – we’ve got your every need sorted. THINK YOU CAN’T WEAR FALSIES? 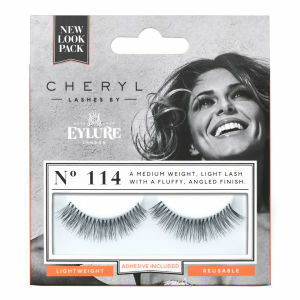 THINK AGAIN… Just like you, I want my eyes to shine, so I’ve worked with Eylure to help us all get our best lash look. Easier application, no need to customise, practically mistake-proof. You’ve got this! A fan-favourite range of gorgeously natural, tapered-tip lashes and must-have brow products! Find all the latest lash loveliness here! A little bit of luxury for your lashes! Soft and rich, this is our fabulous collection of mink-effect lashes. Lash application is easier than ever with the original false lashes. 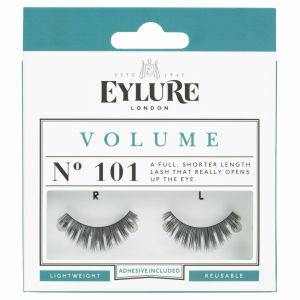 All our natural hair lashes are curved at the band to ‘hug’ the eye and make application a breeze. This quick video shows the short steps from pack to lash perfection. Eylure’s canny creators David and Eric Aylott were make-up artists to Hollywood’s elite, when they spotted a need for decent falsies to flutter. From our not-so-humble beginnings over 70 years ago as THE false lashes for leading ladies, we’re still blazing a trail today. At the heart of Eylure, we want to help you find your best look and inspire you to try out new ones. Whether it is with falsies or gorgeous brows, we aim to give you the tools, tricks, trends and tips to help you be the best YOU. 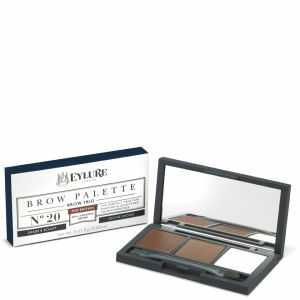 With 60 years of beauty heritage, Eylure brings you the very best beauty tricks of the trade. From fabulous strip lashes in a multitude of styles, to individual lashes and accessories, Eylure provides a lash solution for everyone. So whether you want to flutter voluminous lashes on the dance floor or enhance what you've got on a daily basis, Eylure will have a set of peeper perfecting lashes for you!